Click HERE for a $1 off 3 Hallmark card coupon. Walmart has value Hallmark cards for $.50 cents each, so you can get 3 cards for $.50 total. Rite Aid, Target and Meijer may also have cheaper Hallmark cards as well. You can find a complete list of Target sales and coupon matchups HERE. 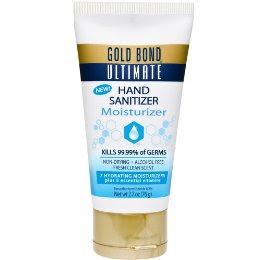 Check out coupon and sale match ups for Walgreens this week HERE. Also keep an eye out for the February Walgreens Coupon booklet. It should be out soon and is called "Make your Sweetheart Happy" with over $160 of Walgreens coupons inside. "I've never used a coupon!" Interesting Statistic: Only 1% of coupons are ever redeemed and the people most likely to use coupons are those in the higher income categories. Click HERE to watch a great clip from the Rachael Ray Show discussing coupon usage. Also, check out another video HERE to watch a coupon queen in action! On Sunday Jan 31 ONLY, you can score 6 bags of Kraft shredded/chunks/sticks/cubed cheese as well as 6 Philadelphia Cream cheese for FREE! Shredded cheese will freeze really well, so this is a great time to stock up! Check out all the complete details on Macomb Money Savers Blog. She has the complete list of what products are included in the deal and what coupons to print all layed out in an easy to read format. To make this deal sweater, take the $5 off ONYO cat from the Kraft cheese and use it towards Pillsbury Cresent or Sweet Rolls. Receive a $4.00 Pillsbury ONYO cat!!!!! Use it towards more cheese! You can expect TWO coupon inserts in tomorrow's paper. One from Red Plum and one from Smartsource. Remember, coupons and inserts do vary by region. You can see the complete list of coupons at Stretching a Buck Blog. Love to read? Read It Forward from Crown Publishing Company is now offering 3 FREE books! Just pick the one you want to receive. Limited quanities, while supplies last. Sign up HERE for the Betty Crocker newsletter and you will receive a coupon in the mail for a free Yoplait Yo Plus Yogurt. 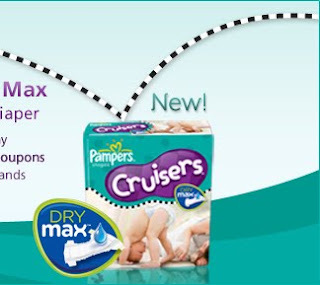 Pampers.com is offering a 3 pack sample of Pampers Cruisers with Dry Max. Simply go HERE and either sign up or sign in. Hurry! These won't last long. If your sample includes a diaper stamped with TEAM USA, you win free diapers for a year. Sign up to be a fan on facebook and then complete this form to receive a coupon in the mail for any Heluva Good Dip product. Yum! These are very good dips. 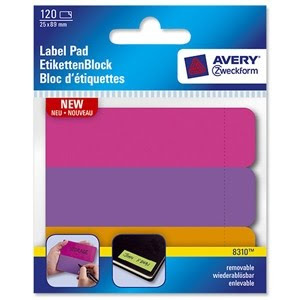 Sign up HERE to receive an Avery Label Pad for free from Box Tops for Education. Today a box was by my frontdoor with these full size products from Crest!!!!! 3D white mouthwash, toothpaste and whitestrips. I honestly don't remember signing up for them, but it came. All they ask is that you use the product and then respond to an email. Easy enough. Companies frequently offer consumer panels where they will send you samples or full size products to try and keep in exchange for your opinon. Right now Tide is looking for participates for the Tide Development team. Just take the survey and if chosen they will mail you products to try. Sign up HERE. What freebies did you get in the mail this week? While on AFC today, I came across a great freebie at Meijer, good through Feb 7. Organic Rice Select are on price drop for 2/$4.00. Flavors include garden vegetable, roasted chicken herb, roasted garlic, three cheese and almond pilaf. You can find more info about Rice Select HERE. This can be found in the organic food section at Meijer. Just a heads up if you are headed to Target, they have infant/toddler winter clothes 50-75% off. Depending on your store location, you may find racks and racks of goodies. My location, Jenison, hardly had anything, but Gaines Twp had much more. $.67 each when you buy 3. 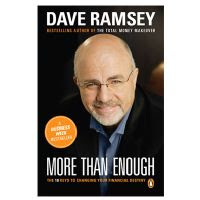 Right now you can score Dave Ramsey's book More Than Enough for free, just pay shipping ($5.95). Go to Dave's site HERE and add the book to your cart, and then use coupon code enough at checkout. Dave presents the 10 keys necessary to creating a financial plan that fits your income and creates wealth. Values, goals, patience, discipline, and giving back to the community are some of these essential steps to creating prosperity, living debt free, and achieving marital bliss around the issue of finances. Resonating with Dave's down-home, folksy voice, heartwarming case histories, inspiring insights, quotations from the Bible, and exercises, quizzes, and worksheets, More Than Enough provides an inspiring wealth-building guide and a life-changing blueprint for a vital family dynamic. Oreo is giving away packages of cookies to the first 150,000 people on facebook. First you need to be a fan of them on facebook. Then at 3pm TODAY, sign up HERE and register for the cookies. The first 200,000 people to become a fan of Be Our Critic will receive 1 Free Movie Ticket to an AMC Movie Theater. After seeing the movie they ask that you post information about it on the discussion boards. AMC movie theaters include: Star on Alpine in Grand Rapids and Star in Holland. You can find more theater locations HERE. I hope this is legit! Worth a try. To find a list of sales and coupon matchups for the week, click HERE. Looks like its the Meijer brand sale this week, which isn't always the best for couponing. However, the Kool-aid Jammers Juice boxes for $.67 each is a great buy! Looks like free Sure deodorant, Reach toothbrushes, etc without messing with RRs. Plus, I've heard Walgreens has alot of clearance merchandise as well. I too am a follower! Bonny, please email me at cleaningbymelissa@yahoo.com and I will mail the gift certificate right out to you. Thanks to everyone that entered. Look for more giveaways in the future. Eastbrook Lanes are having a FREE bowling open house on January 24th at 12:30pm. 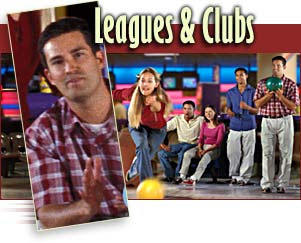 This includes a free 2 hours of bowling for everyone. So bring your friends and family into AMF Eastbrook Lanes located on 3500 Lake Eastbrook Blvd, this Sunday for some free bowling. This event will start at 12:30 sharp and end at 2:30pm. We hope to see you all! Be sure to make your reservation, because lanes will be filling fast. Call (616) 949-7650 now to make reservations. The blog giveaway ends Saturday January 23 at 12pm. Make sure and enter today! The winner will be announced on Sunday Jan 24. The Grand Rapids Public Museum is hosting the DTE Energy Ethnic Hertiage Festival on Saturday Feb 6 from 9AM-5PM. Admission is FREE to the museum to enjoy music, dance, crafts, displays and food representing various ethnic groups that call West Michigan home. The Planetarium will present Everybody’s Sky: Star Stories from Around the World at 11 am, and 1, 2 and 4 pm. Sign up HERE to receive the Betty Crocker Newsletter and get Coupon Book with $10 in coupons sent to you via mail. 15% off all general merchandise or appareal purchase over $25 with coupon in ad. Use $2 off coupon from 1/3 RP=$1 each Thats just a few pennies per load! Use $1.00 off 3 Frosted Flakes Coupon from 1/10 RP, making them $1.45 each when you buy 3.
or use $1.50 off 2 Frosted Mini Wheat Little Bites coupon here, making them $1.04 each when you buy 2. Also worth noting. This is not part of the Super Saturday Sale, but I got Aunt Jemima Pancake Mix for $.50 this week! $.50 each when you buy 2! 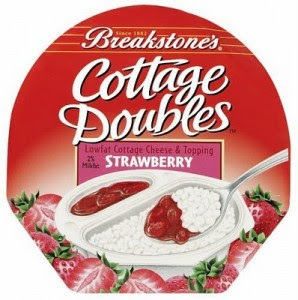 Don't forget you can still do the Breakstone Cottage Cheese Doubles Deal through 1/24. Find all the info HERE. Applebee's is offering $5 off your purchase when you text APPLE to 69100. Just show the text to your waitress to receive your discount. This text coupon is ONLY valid the day you text for the coupon. Click HERE and fill out the form to receive a $10 off coupon mailed to you from Eukanuba Dog Food good for puppy food. Target and Walmart-Cheap Ivory Soap! $.02 or $.07 per pack! Great charity donation! Please note that prices do vary by store and region. Party City is offering a $10 off $30 coupon HERE. Good until 2/1/10. It does exclude clearance items but not sale items. Sign up HERE to receive Lowe's Ideas for Home and Garden Magazine! Free! If you made less than $31,000 last year or were active duty military with an AGI of less than $57,000 AND live in the following states: AL, AR, AZ, GA, IA, ID, KY, MI, MN, MO, MS, NY, NC, ND, OK, OR, RI, SC, VT or WV, then you can get your State and Federal taxes done for FREE with TurboTax! Get all the info HERE. Also, check out the toy section, its been reported that clearance toys are 75% off. Thanks Stretching a Buck Blog! If you are needing Huggies diaper and wipes coupons, head over to coupons.com .The site has several high value coupons available now. Don't delay printing these if you need them. I'm so excited to be offering my first giveaway. I've been wanting to do this for some time. As many of my readers know, I provide cleaning services as a part time job and have been cleaning homes, offices and churches over the past 5 years and am offering a gift certificate for up to 2 1/2 hours of cleaning services as my first giveaway. I under stand that as frugalistas we don't often have "extra" to treat ourselves. Cleaning services include dusting, mopping, vacuum, polishing furniture, bathrooms, kitchens, bedrooms, etc-whatever you want and need done in this time frame. All supplies included. Good only for residents in Kent or Ottawa County. Gift certificate expires 1 year after issue date. * Leave one comment telling me why you want to enter this contest. You can expect TWO coupon inserts in tomorrow's paper. 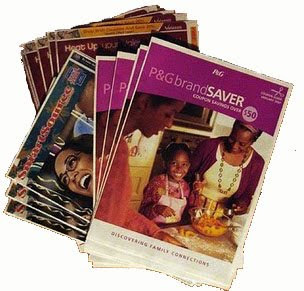 One from Proctor&Gamble and one from Smartsource. Remember, coupons and inserts do vary by region. Starting Sunday(1/17) Walgreens will have Wet Ones on sale 2 for $4.00 plus get $1 Register Reward. 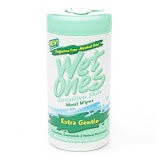 Print this $1.50/1 Wet Ones coupon twice. Pay $1.00, receive $1 RR. The best part is that the catalina coupon rolls! So you can buy another 5, use the catalina, get another catalina, buy another 5, etc! 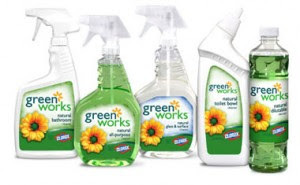 Answer a few questions and receive a free sample of Clorox Green Works. Sign up HERE. Just received this email so I thought I would pass on the info. 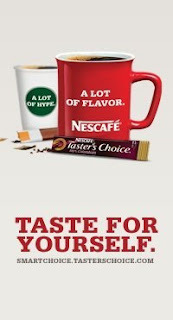 Sign up HERE to receive a free sample of 6 varieties of Nescafe's Taster's Choice. Go here and print out a coupon good for a FREE Victoria's Secret Full Size Body Scrub in Sweet Daydream with purchase. Purchase a lip gloss or clearance item for a low out of pocket cost. Lot of great deals at Meijer and Target this week!!!! Short on time, I ran into Meijer and Target just to get freebies that I thought might not be available later this week. I still have to make my big Meijer run. Paid $0.00 and saved $13.97-now that is a great looking receipt! 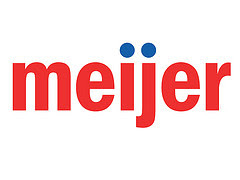 Check out my post about Meijer this week to find all the coupon matchups-lots of freebies and cheapies!! I'll admit I've been dissappointed in Meijer lately. But this week is turning out to be a GREAT shopping week with many freebies!! Free Light and Fit yogurt, Dole Salad blends and Lance crackers. YAY!! You can find a complete list of Target sale items paired with coupon HERE. Love Special K? 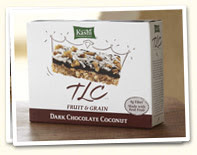 Check out the scenario where you can score 3 Special K products-bars, fruit cups or crackers for $.78 for 3!